Can Do! is a Fallout 76 Perk. Can Do! has 3 ranks, requires a level of 7 to use, and spends 1 point by default. Can Do! Rank 2 spends 2 points, Can Do! Rank 3 spends 3 points. Perks are special abilities in the fallout series that give unique bonus to the players taking them. These bonuses heavily affect gameplay, and are important decisions that define Builds. : 40% chance to find an extra canned food when you "Search" a food container. 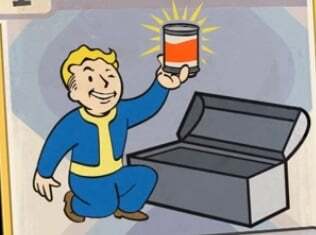 : 60% chance to find an extra canned food when you "Search" a food container. : 80% chance to find an extra canned food when you "Search" a food container. Notes and Trivia about Can Do!